Hull's survival hopes were dented as relegated Sunderland secured their first win since February to bring a surprising and untimely end to Marco Silva's long unbeaten home run. The Portuguese's January appointment at the KCOM Stadium raised eyebrows but has worked wonders, bringing hope to embattled City thanks largely to their superb home performances. But they emerged pointless from their match against David Moyes' relegated side as second-half goals from Billy Jones and Jermain Defoe ended Sunderland's 91-day wait for a win, with the 2-0 reverse Silva's first home loss in three years. It was an awful time for the Portuguese's 41-match unbeaten home run to come to an end, giving Swansea a chance to usurp them with victory in the late kick-off against Everton. 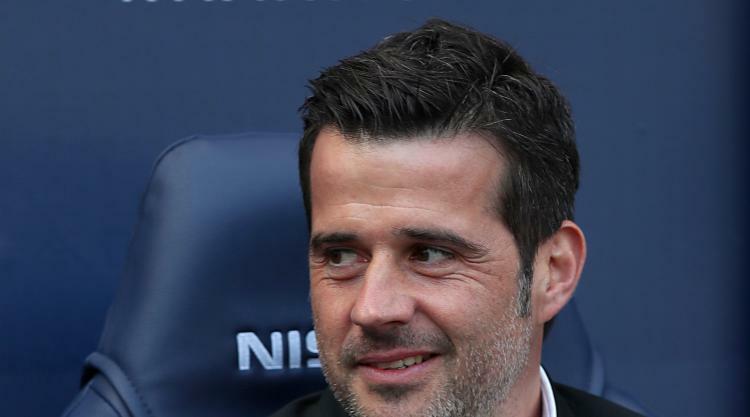 Hull had taken 19 points from a possible 21 at home under Silva until this point and bullish Tigers forward Oumar Niasse had confidently said before the game it was not a question of whether Hull would win, but by how many goals. Whether it was overconfidence or nerves, the Tigers struggled to find a rhythm against a Black Cats side whose performance belied their woeful campaign, with Jordan Pickford keeping the home side at bay with a man-of-the-match display. Jones headed home a goal the visitors had long looked capable of scoring before Defoe bundled home in stoppage time, giving Swansea hope and Sunderland a rare win to celebrate. Goalscorer Jones was involved from the start and saw a fine early cross headed wide by George Honeyman - a let-off for Hull as they started sloppily. It was not until the 20th minute that Pickford was really tested, keeping out Sam Clucas' fizzing strike before Harry Maguire and Andy Robertson had attempts. Defoe tried his luck in an end-to-end first half in which Hull were aggrieved that handball was not called against John O'Shea after a Niasse overhead kick. Abel Hernandez would have softened the blow had his finish matched his build-up, although Sunderland had efforts of their own before the break. When play resumed Lazar Markovic's penalty claims were ignored after a clumsy Victor Anichebe challenge, before Eldin Jakupovic did well to deny Defoe after the marksman broke through. The England international flashed wide and Pickford superbly tipped over a Markovic effort as the sides traded punches, with O'Shea throwing himself in the way of a Hernandez shot as Hull pressed. Defoe flashed over as Sunderland continued to threaten - warning signs the home side did not heed. O'Shea flicked on a 69th-minute corner from Honeyman and Jones headed home to send the visiting supporters wild. Hernandez was stopped and Niasse prodded wide as Hull looked to respond, with Pickford producing a point-blank stop to deny the Uruguayan. Maguire saw a claim for a spot-kick ignored and Sebastian Larsson stung Jakupovic's palms from a free-kick, with Evandro dragging wide at the other end. Things would get worse not better for Hull, though. Andrea Ranocchia was more interested in appealing for offside than following Defoe, with the England striker bundling home from close range in stoppage time.